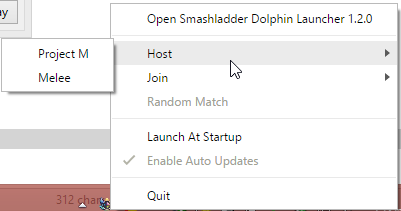 This is a desktop application that I've been working on with the goal of making using Dolphin on SmashLadder smoother than a cup of lightning in the morning for breakfast. 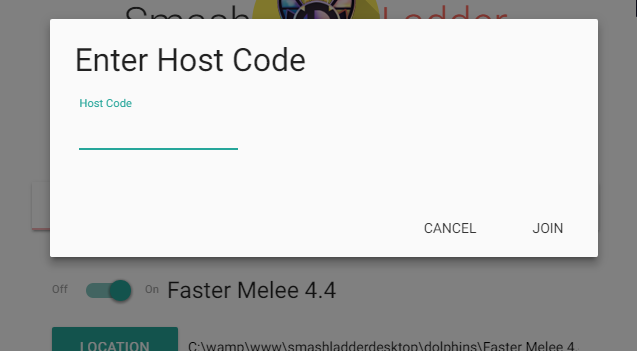 Ever get weary of copying and pasting host codes when you start a match? This application has got the solution for you! Not on Smashladder at the moment? Pfft a toxic person scared me from ever going back too! Host or Join straight from your notification bar! 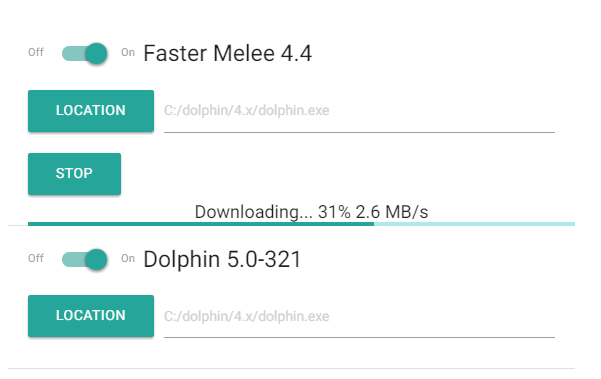 No more opening dolphin and navigating the menus to get to that sweet melee! You know you've wanted to see just how many times Michael41000 4 stocked you! Now you can! The launcher can automatically upload stock counts, report ranked matches, and record your apm! Even your costume color! I know I hate downloading things, what if a download can download things for you?! All that and more is coming! Don't be afraid to help beta test this application. There's a lot more work to do with it, but the more people that use it and give feedback the more complete it can become. Chat / Join the beta here!